Angelina Jolie has been embroiled in a tense divorce and custody battle with her estranged husband Brad Pitt. 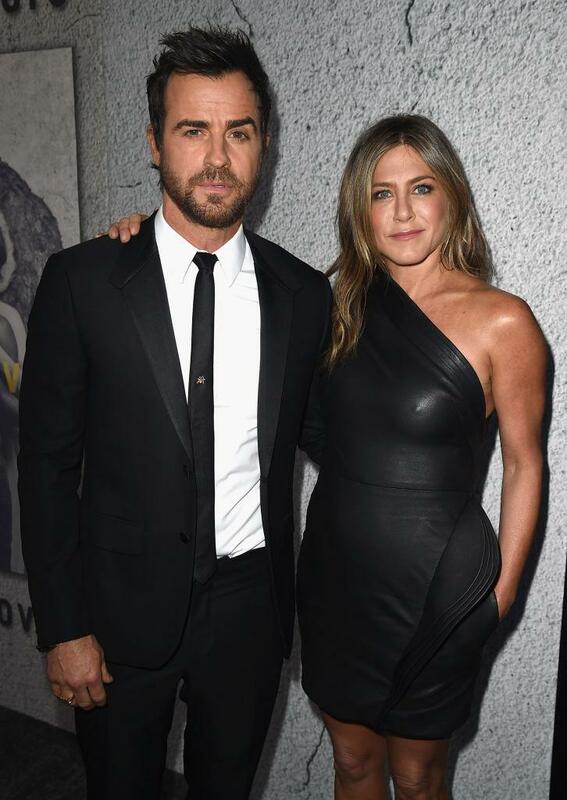 However, a new article is claiming the “Maleficent 2” star has been secretly dating Justin Theroux to get revenge against Jennifer Aniston. Aniston, who previously divorced Pitt in 2005, announced her separation from Theroux earlier this year. While Jolie has begun the proceedings to legal dissolve her marriage, a report alleges she has managed to successfully carry out her scheme against the “Friends” star. Life & Style published a story claiming Jolie and Theroux initially met in August to discuss a potential film project, but the business relationship escalated “in momentum and intensity” after the two bonded over shared interests. The supposed confidant went on to imply that Jolie quickly charmed Theroux and “cleverly orchestrated” the romance to hurt Aniston. “As far as Angelina is concerned, it’s a complete win-win. Not only has her retribution mission against Jen been accomplished, but she’s found a potential new love in the process,” the “insider” alleged. Despite rumors of Jolie and Theroux’s new romance, a rep for the actor told Gossip Cop the Life & Style article is a complete fabrication. The fact-checking website also noted those close to Jolie previously revealed the 43-year-old had “no interest in dating” as she focuses on her children amid her divorce and custody battle with Pitt. Meanwhile, an Aniston confidant previously told People the actress was content with her life following her split from Theroux. “She is focused on her own happiness,” the insider shared.